We fight dirty for science. 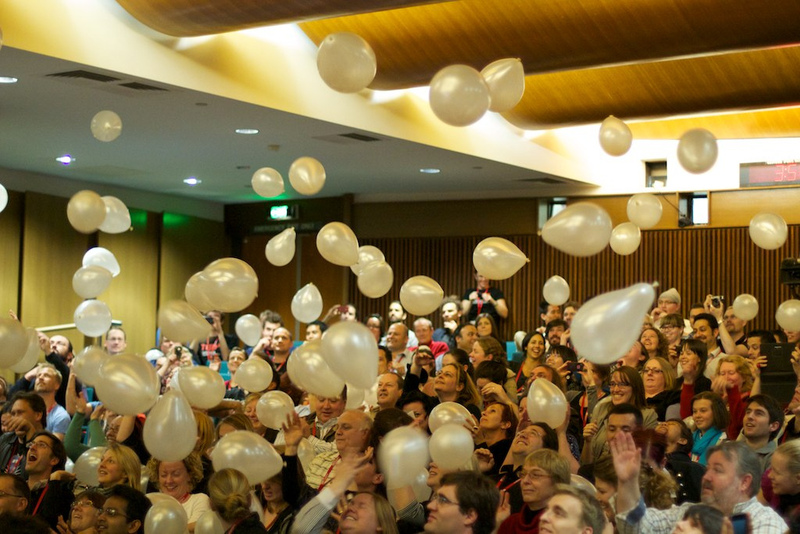 On Saturday 24 September, Boho presented a talk as part of TEDx Canberra at the National Library, looking at themes of ‘Reflections – Happenings – Predictions’. Speaking in the session entitled ‘What Could Be’, Boho demonstrated concepts from Complex Systems science through interactive performance. We’d like to thank all the crew for their excellent, professional, tireless and still somehow friendly work on the day – we had a blast and it was awesome to share the stage with such visionary thinkers. The full production script from the talk can be downloaded here. You can read more about the day here.